I'm starting to write this on November 3rd, the day after seeing Thor: Ragnarok on opening night with my partner. We both absolutely loved the film, but our experience (especially mine) was tainted by something completely unrelated to the film itself: We accidentally bought tickets to the IMAX 3D showing, instead of the Dolby Cinema 2D version we wanted to go to. And despite my best efforts to enjoy what would normally be a fun, immersive film, we would've enjoyed the film far more in 2D. This is not an uncommon sentiment, but I've been putting a lot of thought into exactly why I feel this way, and I wanted to really articulate it beyond "I'm done with 3D movies". I try to make a point to never dismiss any artistic innovation, so an absolute statement about something like this is out of character for me. I wanted to explore why I felt this way. This is probably the most well-known criticism of 3D film technology, enough for entire companies to pop up and produce modified glasses that turn 3D movies into 2D. But it bears repeating here, because it's something that affects my partner and I personally, as well as a staggering number of our friends and family members. The list of eye conditions that make 3D movies difficult, uncomfortable, or impossible is quite exhaustive, and much like virtual reality video game technology excluding people with common mobility limitations, 3D movies exclude almost everyone with a visual impairment (even common ones, in some cases). In this case, my partner has a rather pronounced visual impairment in one eye, which limits how well the 3D technology can work for her even on a hypothetical level. So she actually didn't experience most of the rest of my issues with our 3D movie experience. But, 3D movies subject her to a substantially increased level of eyestrain in her good eye, for no real benefit, so she just doesn't bother most of the time. And I'm happy to join her in skipping 3D showings of movies we watch. As for me, my eyesight is actually quite good, and above-average for my age. But, a couple years ago, I was prescribed glasses for the first time. I'm not particularly nearsighted or farsighted, but I have substantial astigmatism in my non-dominant eye (my right eye) that never showed up in childhood vision tests, so finally having it corrected was like upgrading from DVD to Blu-Ray; I was ok with how things looked before, but suddenly everything was crisp and beautiful in ways I hadn't experienced before (or at least not in the previous 15 years), and I could use both eyes equally for the first time in ages. However, my glasses are a recent-enough addition that all of my 3D movie experiences happened before I had them (I checked my receipts while researching this article). 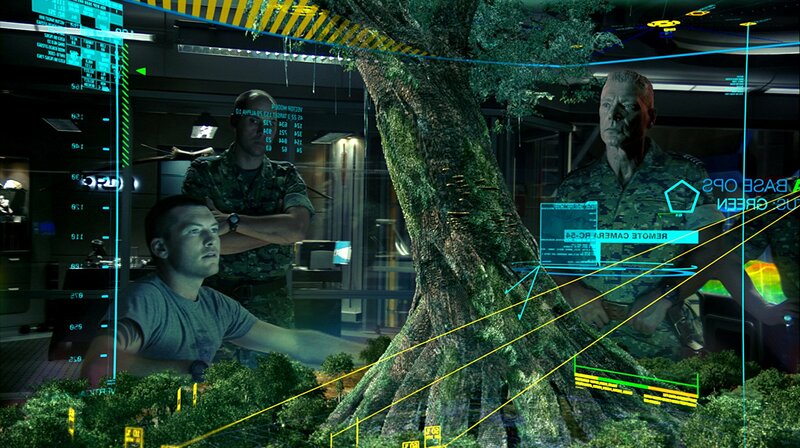 At first, I really wanted to love 3D film technology; I was as drawn-in by the stunning visuals of Avatar back in 2009 as anyone else. But, before I had corrective lenses, 3D movies amplified my visual impairment; everything always looked blurrier than a 2D movie, and the double-vision distortion of astigmatism made it difficult to not notice the technology. I kept going to them anyway, usually when friends really wanted to a movie in 3D, but I didn't really seek them out, and after a while, I just stopped going to 3D movies altogether, and I started asking friends to pick 2D showtimes when organizing group outings. Thus, I haven't been to a 3D movie in over two years. Why, then, did I suddenly go to one now, while buying tickets for myself and my partner? I honestly don't know; it certainly wasn't intentional. I picked a 2D showing, selected seats, and went through the checkout process, all without noticing that at some point during the purchase, my selection had been switched to IMAX 3D without my knowledge or conscious selection. Thanks for that, AMC. I don't go to enough movies to pay much attention to ticket prices, so I didn't notice something had gone wrong until we arrived at the theater, and were given 3D glasses. By that point, it was too late to switch to a 2D showing, because they were all sold out, except for a pair of seats on the left side of the first row at the showing I initially intended to buy tickets for. Faced with the choice of reasonably-ok seats in a 3D showing, or the worst seats in the house at a 2D showing, we opted to stick with what we had. But, I hadn't been to a 3D movie since getting my prescription glasses, so I figured maybe it would be ok this time. With my own visual impairment, having corrective lenses did help considerably with the 3D visuals; I still had plenty of other issues, but clarity wasn't one of them, and looking specifically at technical detail and clarity, this was probably one of the most beautifully-photographed films I've ever seen. Unfortunately, that's the only positive thing I have to say about this 3D experience, and one big negative was that trying to wear the 3D glasses and my regular glasses simultaneously was miserably uncomfortable. My prescription glasses aren't bulky, either; I have a pair of sleek half-rim frames with semi-rectangular lenses, a fairly common style nowadays. But I could barely get them both on my face at all; to keep the 3D glasses from falling off, I had to push my prescription glasses so far up my nose that they started to dig into the corners of my eyes. By the end of the film, this was quite painful. And, beyond just comfort, there were quite a few moments where having doubled-up lenses caused some really distracting visual artifacts and reflections. I don't really notice my prescription glasses anymore, because I wear them all the time, but I definitely notice them when I have another pair of glasses on in front of them. Once the movie finally got rolling, and my 3D glasses were as relatively stable and comfortable as they were going to get, I tried to really enjoy the experience. And the movie itself certainly helped with that; my partner and I both love Marvel movies in general, and Thor movies in particular, so this was something we've been looking forward to for months. However, we quickly re-discovered an issue we had both forgotten about: 3D movies only work if your head is perfectly horizontal, and pointed directly at the center of the screen, especially on a big IMAX screen. If there was something happening off to the side (as is usually the case, because anyone making a big Hollywood movie has at least heard of the rule of thirds), turning to look at it often causes misalignment between a viewer's eyes, requiring several seconds of re-calibration after quickly looking back at the center of the screen. And tilting our heads to one side or another caused the polarizing filters in both lenses to stop working correctly. This isn't usually a huge deal, but one perfect example is something as simple as leaning my head on my partner's shoulder, or vice-versa; hardly a show-stopping part of going to a movie, but it's the sort of thing that lots of people do, and it's far from the only example. Dropped something on the floor? Better hope it's perfectly centered in front of you, otherwise you'll tilt your head when trying to reach for it. Someone's asking you to pass the popcorn? Better not look toward them, even though every human being is instinctively hard-wired to do that. This is a great shot in 3D, because the 3D effects provide depth to an otherwise-flat shot, the depth matches the audience's relative distance to the screen, and the tight framing prevents background/foreground details from throwing off your sense of distance. This is not a good shot in 3D, because the background quickly draws your attention, and your brain assumes it's further away, causing your eyes to diverge, which splits the image horizontally. This is not a good shot in 3D, because your eyes want to explore the whole frame, but trying to focus on the background results in horizontal splitting of the image. The technology behind 3D movies is undeniably an engineering marvel, because making human eyes and brains see a 2D image in 3D and believe what they're seeing is an extraordinarily difficult problem to solve. I'm sure it's something that a lot of brilliant people put a lot of time and money into. However, when trying to engineer ways to trick human senses, there are always trade-offs and limitations. And in this case, one of the main trade-offs is that human eyes adjust their alignment based on relative distance; your eyes will point straight ahead for something far into the distance, but they'll point slightly toward each other when viewing something closer. It's why someone will look cross-eyed when they're looking at something extremely close to their face. One of the things that makes 3D films possible is that this eye alignment trick works both ways; if presented with an image that's doubled, your eyes will automatically try to point slightly toward each other or away from each other to compensate, because your brain says "oops, apparently I misjudged the distance" and assumes it needs to correct something. But this evolutionary bonus also works against 3D movies, because a properly-calibrated stereoscopic 3D shot will be convincing enough to make your brain assume it's looking at something closer or further away than the screen. Your brain will attempt to adjust your eyes accordingly, which doesn't work because the distance to the image hasn't actually changed. So, the image will horizontally double or split for a moment, until you remember that you're actually looking at a screen and re-align your eyes accordingly (usually by glancing at something else in the theater, like a curtain, or people in front of you), thus destroying any immersion. This is more pronounced the closer you are, but it's still an issue even in the back rows. This is called convergence and divergence, and a more technical explanation of how this works in cinematography can be found in this tutorial on how to film in stereoscopic 3D. The biggest issue with convergence and divergence, from an artistic perspective, is that 3D cameras work the same way as human eyes; when something is close, the cameras have to converge in order to capture it. But, much like real human eyes, this can cause double-vision in the background. Clever CGI can help with this, but for a live-action film, it's harder to correct, so there were several moments in Thor: Ragnarok where my eyes tried to converge or diverge to look at the background, only to find the foreground joining the background in shifting in and out of alignment. It didn't take long to remember that I was looking at a screen and re-align, but as I mentioned, this breaks any immersion the movie might have achieved, with the additional frustration of having something in the frame that I was very obviously not allowed to look at. And at a couple points toward the end (especially in any scene with a starry sky in the background), I had to just close my right eye entirely, because there was so much horizontally-doubled detail that I couldn't focus on what the movie decided I was actually supposed to be looking at. This is a great shot in 3D, because the 3D effects make it feel much bigger and more realistic than it really is. This is a great shot in 3D, because the framing and perspective match that of the audience, making it feel realistically-sized, and thus creating a more realistic shot. This is a terrible shot in 3D, because the 3D effects make the ships feel like objects the audience can reach out and touch, thus making them feel much smaller than they really are. This is a terrible shot in 3D, because the 3D effects make both fighters feel like they're actually in the theater, thus making them feel much smaller than they're supposed to feel in this huge, epic fight scene. It wasn't all bad, though; there were quite a few moments where the 3D technology worked perfectly, it looked beautiful, and I felt like I was seeing real objects and people right in front of me. Unfortunately, all of those moments happened with scenes and objects larger than normal human scale and/or filmed from distances greater than my viewing distance, thus making the scene look more like an elaborate puppet show than a huge, epic adventure. This was my single biggest issue with the 3D technology last night, and it's not a problem unique to Thor: Ragnarok, but that was the most egregious example of it I've ever seen. And it's also the issue that took the longest to put into words, because it's hard to define exactly what went wrong with this; the technology worked perfectly, the cinematography was beautiful, and the giant IMAX screen comfortably filled my entire field of view without being too close or too far away. So what was the problem, exactly? Avatar is one of the main reasons why we have this fad in the first place, and in my opinion, it's one of the only films to do 3D truly well, in a way that has a net-positive impact on the immersion and overall film-viewing experience. 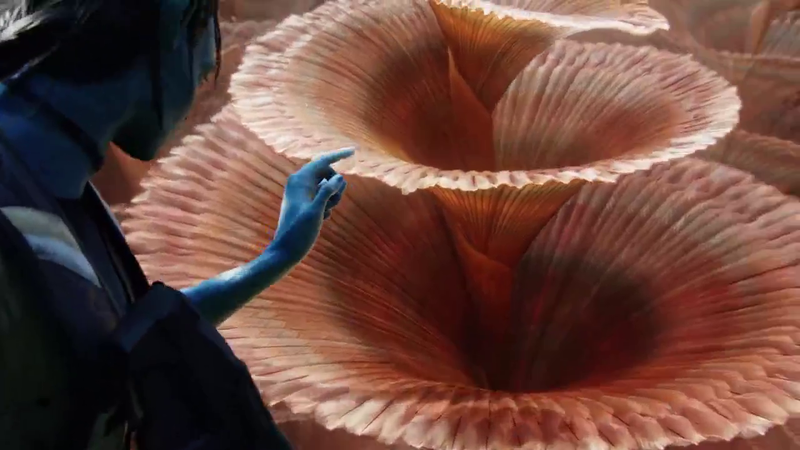 So, if you saw Avatar in 3D, and could actually see the 3D effects, think about the scenes that, visually, made the film and its world feel big, and very real (not necessarily the best scenes for the film's story or overall cinematography), without directly calling attention to the 3D technology by throwing things at you. 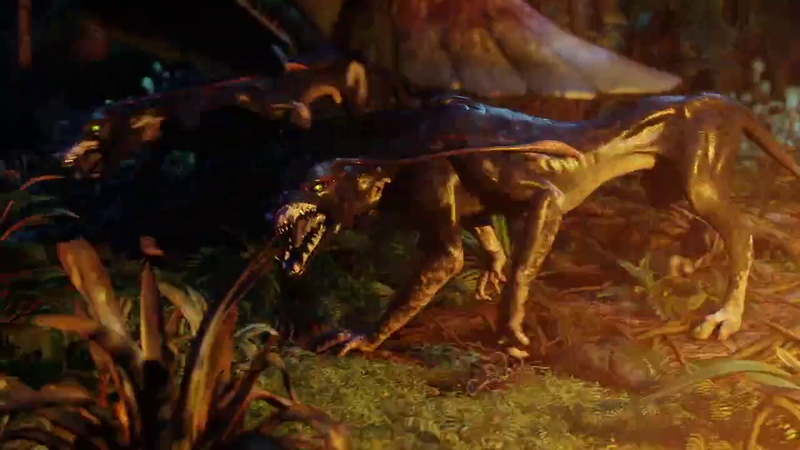 I'm going to take a guess that the list probably includes the introduction of the Operations Center, the first run through the woods (which I couldn't find or capture a good image of), and the fight with the leathery-skinned canine creatures. 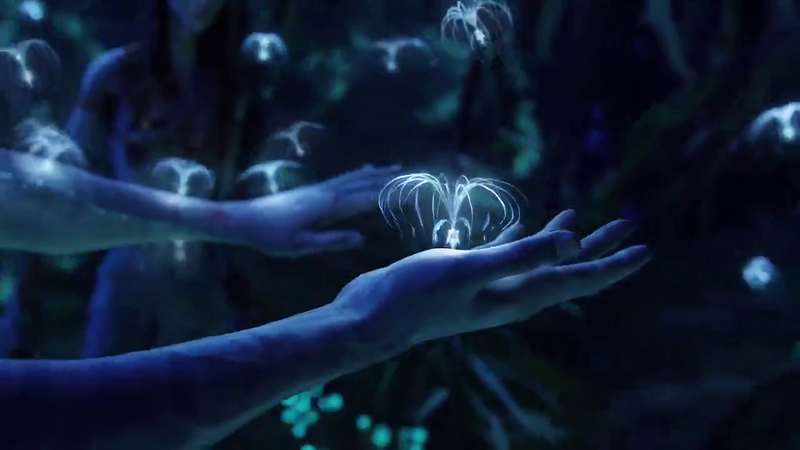 What these and other similar scenes have in common is that they're small-scale, intimately-framed shots, which use the 3D technology to make objects/creatures of human size or smaller feel larger and more realistic, and Avatar is full of these shots. It's one reason why the cinematography feels a little weak in 2D; the film was designed from the start to look spectacular in 3D, so while there are a few excellent wide-frame shots, the film creates a feeling of large, epic scale by shooting from a realistic human perspective as much as possible and relying heavily on 3D technology and techniques to make small objects and creatures feel huge. 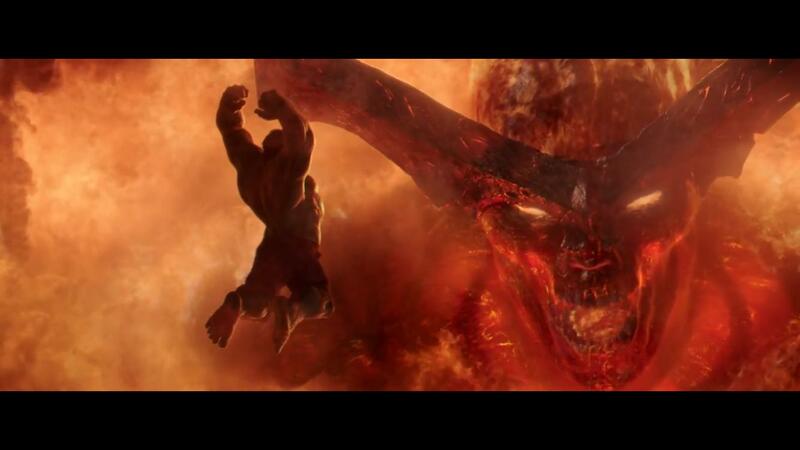 Thor: Ragnarok, by contrast, uses cinematography similar to other Marvel movies; it aims to create a sense of huge, epic scale by using wide shots and foreground-object perspective tricks (putting something small and widely-recognized in the foreground or midground of a wide, large-scale shot), like most traditionally-captured films. However, these shots were still filmed in 3D, which makes them feel like physical objects with true depth. This should, hypothetically, make them feel more realistic, but the aforementioned issues with distance and convergence/divergence break the illusion; because the relative distance between the camera and the subjects is constantly changing, the audience has to continually reorient their brain's sense of distance to remind themselves that they're looking at a screen. Since our brains are quite good at judging relative distance based on what we see and the relative convergence of our eyes, the audience's sense of scale becomes relative to their distance to the screen instead of the relative framing of each shot. Therefore, when what's supposed to be a massive spaceship takes up a small portion of the screen, but still has 3D effects to give it physical depth, a viewer's brain says "that spaceship is obviously the size of a Frisbee", because their scale reference is the room they're currently watching the movie in, rather than anything else in the frame. These sorts of relative-distance/relative-scale issues are unavoidable, and it's why movies that do 3D well avoid showing large objects from any distance between infinity (negating the 3D depth effects altogether) and the average size of a movie theater. Since Thor: Ragnarok is shot with more traditional 2D cinematography, every single shot that's supposed to feel huge and epic contains at least one 3D element that, by providing something that we perceive as a physical object in the same room, drastically deflates the scale of the shot. At one point, there was a scene of several simultaneous fights happening on the same mile-long bridge (unfortunately, there are no publicity stills available of this scene) that literally felt like I was watching a puppet show or animatronic toys, because the characters were all filmed from a distant camera. Every spaceship felt smaller than my car, even at their largest. Epic landscape shots of Asgard felt like I was looking at a model on someone's shelf. Or, since I'm a photographer myself, it felt like the whole thing was filmed with a tilt-shift lens, the sort of thing every photographer tends to use at least once to get a picture of our local downtown that looks like children's toys (I have not yet done this). It's a fun gimmick, but the novelty wears off quickly, and it's pretty much the opposite of what you want to do if you're trying to capture the larger-than-life adventures of a space viking with lightning superpowers in a way that inspires awe in your audience. It's also worth noting that this is a big reason why 3D TVs were unimpressive; even a well-crafted 3D film experience like Avatar falls apart and looks fake if you watch it on a small screen in a well-lit room, because your brain compares what's on the screen to everything else you can see in the room, and the 3D perspective/scale tricks used throughout the film were designed for the very specific relative screen size and distance of a theater. The fundamental issue here is that the cinematography techniques needed to make a good 3D experience are very different from the techniques used to make a good 2D experience. Artistically, we should view them as distinctly separate disciplines, much like the distinction between cinematography and photography; there's connective tissue, but they're very different skillsets, and a master of one will not automatically be a master of the other. This is especially true for movies that are trying to aim for large-scale epic storytelling or large-scale action; no superhero movie should ever be shown in 3D unless it was intended from day 1 to be a 3D experience first and foremost, like Avatar. Put another way, stereoscopic 3D is the uncanny valley of cinematography, much like how motion controls are the uncanny valley of video game input devices; in 2D movies, our brains understand that what we're seeing is a story told in flat pictures, so the immersion comes from getting lost in those pictures and the narrative they're trying to convey. But 3D movies get close enough to real depth to make our brains think we're looking at real objects, which causes our brains to violently reject what we're seeing when the illusion encounters even small glitches. Thus, the key to successful 3D cinematography lies in creating a film that expects the audience to perceive the room they're in and the screen they're watching on, because they are going to notice it. However, no film can afford to prioritize 3D cinematography, because as I mentioned earlier, a significant number of people simply can't comfortably experience it, even when the technology is at its best. Plus, 3D films are vastly more expensive to produce, so the only films that even have a chance of doing it right are either too big to exclude a large chunk of the audience, or can't afford to even try to create a good 3D experience. So, big-budget blockbusters use 3D equipment to make movies that are, fundamentally, 2D experiences, using cinematography techniques that don't translate to 3D. They usually throw in one or two obligatory "let's throw stuff at the audience to remind them that it's a 3D movie!" scenes, but I'm fairly certain that we'll never see more than that again. I have to admit that, as an artist who enjoys seeing advances in technology used in creative new ways, I'm disappointed that 3D cinematography has fizzled and failed so severely. When I first saw Avatar in IMAX 3D, I was swept up in the 3D-movie craze too (even though I had some issues with its storyline, but that's a separate essay), but from the perspective of an artist: I wanted to see the technology used to tell new stories or tell old stories in new ways, much like how Avatar used it for huge, epic worldbuilding from a small, intimate, personal perspective and scale. Because even though I had difficulty watching it myself, I could see the potential of stereoscopic 3D. Unfortunately, it has instead been used as a cynical cash-grab by the industry to boost ticket prices for an inferior experience while adding as little as possible to production costs. In a way, I'm kinda glad I took one more look at a 3D film, because doing so helped me put some long-standing thoughts into words in a way that I could never quite articulate before. Unfortunately, those thoughts and feelings are not positive, and I really wish they weren't intertwined with what will probably become my #1 favorite Marvel movie when I re-watch it. If someone were to make a movie that was designed from the start to use 3D cinematography in creative and interesting ways, to tell a creative and interesting story that might not work as well in 2D, I'd be willing to give it a shot, but that's pretty much the only circumstance where I would even consider going to another 3D movie. But even if such a film were to ever be produced, I still can't comfortably wear present-day 3D glasses, my partner can't really see the 3D effects well, and quite a few of the friends I usually go to movies with have similar issues or worse. So, I think I'm done with 3D movies completely. I really wanted to see the technology mature and become an exciting new tool for creative expression, and also become less exclusionary to people with imperfect eyesight. I'll stick with watching movies in 2D. It's cheaper, the experience of the film is more immersive, my partner gets to watch with me, and I can even rest my head on her shoulder if I want to.